This TED talk is a good introduction to Adverse Childhood Experiences, also known as ACEs. 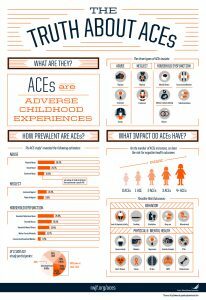 Infographic created to share information about what adverse childhood experiences are, how prevalent they are and their impact. Adverse Childhood Experiences, also known as ACEs, have become a way to describe how anyone’s childhood continues to impact them. For abused and neglected children, we know that this impact is deep and profound. Here’s some of what we have learned about ACEs. Adverse Childhood Experiences (ACEs) are common. Almost two-thirds of study participants reported at least one ACE, and more than one in five reported three or more ACEs. The ACE score, a total sum of the different categories of ACEs reported by participants, is used to assess cumulative childhood stress. There are three types of ACEs: abuse, neglect and household dysfunction. As the number of ACEs increases, the risk for negative health outcomes increases — even into adulthood. Of those studied across the socio-economic spectrum, about 20% had experienced physical abuse, sexual abuse, household substance abuse, parental divorce and/or household mental illness. 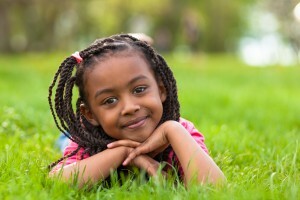 Children entering the foster care system are already vulnerable and at risk of experiencing ACEs during foster care. Source. Emotional neglect: For a significant period of time, no one helped you feel important or special; your family was not a source of strength and support. Physical neglect: For a significant period of time, no one took care of you, protected you, and took you to the doctor if you needed it, you didn’t have enough to eat, your parents were too drunk or too high to take care of you, and/or you had to wear dirty clothes.